Yep. That’s what they call me. 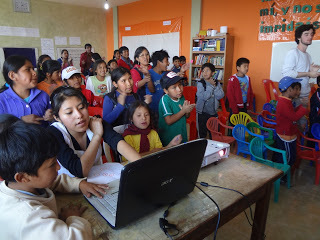 Profe “bah-lor.” Bolivians pronounce their “V’s” with the same sound as a “B.” It’s funny because a couple weeks ago I saw a workbook page on “B’s vs. V’s” in my student’s workbook. It really can be hard since I’m still learning the language. I wonder, now does that word start with a B or V? It’s either “B de vaca” or “B de bota.” That’s who I am here! 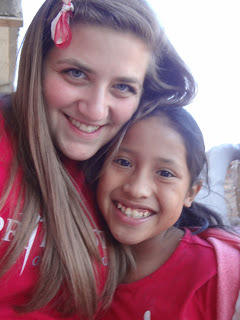 Anyway, this past week the students did not have school, but we still had Center and did a Vacation Bible School. I thought it went surprisingly well and smooth! Everybody on our team did what we asked them to do and they worked hard and did it well. We all started together with some music and then did rotations: Bible, craft, games, and snack. My role was leading games, which I really enjoyed. My friend on our team, Kathryn, translated for me, so I would say I co-led the game station. The first day we played musical chairs with sticky notes of parts of John 3:16 on the back of each chair. Then we put the verse in order as we went. I didn’t realize that most of the 1st graders couldn’t read, but they were still able to do it with help and it was good to get them at least recognizing words. I played a Spanish kid songs CD. Number 7 was my favorite and ended up playing it over and over because the beat was cool and there was this part that said, “salta, salta, salta!” Salta means jump, so I made them jump around the circle like little conejos (rabbits). It was so funny! If you know me, you know I really like to make kids do crazy things and laugh at them. Always in a good way though! The second day we did some relay races and the third day we did a tag game, which was so funny to watch, especially the really little ones. 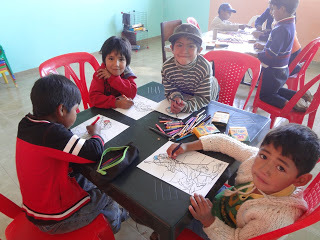 The last day was a little different and I helped with crafts, which was a little crazy, but the kids had fun. 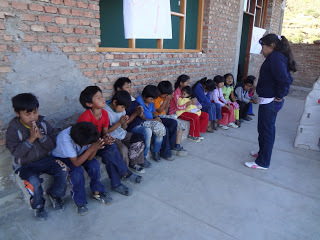 For more stories about Valor’s time in Bolivia working at The Center, go to her blog.